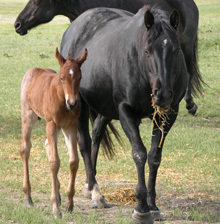 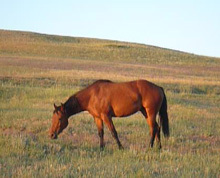 Meadows Ranch has been using Hancock Horses since the 1970’s. 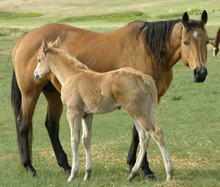 Hancock horses were introduced in 1923 by Joe Hancock. 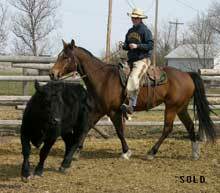 Hancocks work best for our operation mostly because of the excellent disposition we have been exposed to. 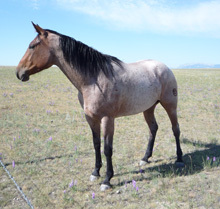 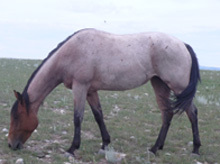 In addition to the build, the popular roan colors bred in our band are very attractive. 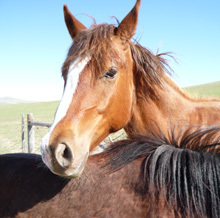 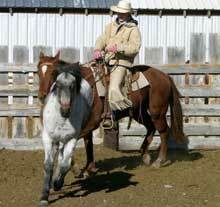 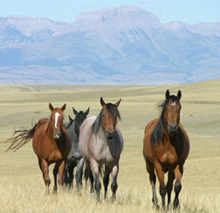 Our horses have been used as 4-H projects, trail horses, pack horses, parade horses, ropers, and barrel racers. 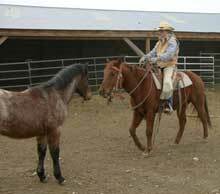 Most of all, our Hancocks have been the staple between us and our cattle operation. 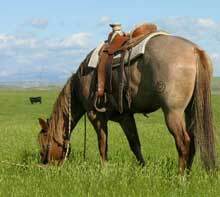 Life on the ranch would be truly impossible with out horses. 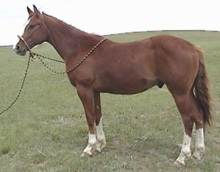 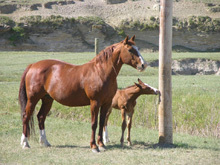 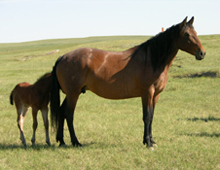 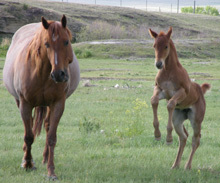 This page contains AQHA and FQHA registered horses for sale that have all different levels of handling. 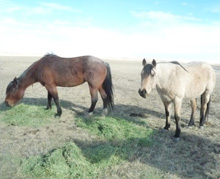 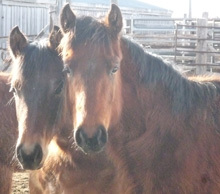 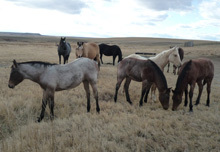 Our pasture-born yearlings have been haltered and handled, and lightly saddled by the end of their 1st year. 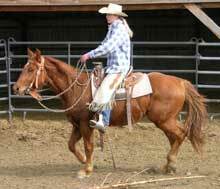 Our two and three year olds have been introduced to ropes and cattle, dogs and trail rides, and people of all ages. 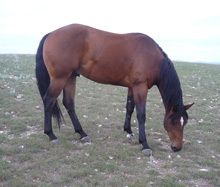 Some of the horses listed below have pedigrees and video clips to view. 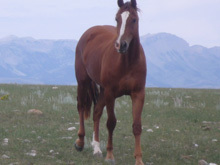 If there is a horse you would like to see a video of or pedigree for, please contact us to let us know and we will get it posted.